I know what you’re thinking, we’ve gone all Future Publishing and Photoshop’d a blue sky in to this but no… December ‘cross with the super rare blue sky, blue leg combo… Amazing! Thanks to Whitehouse for the image. Fresh for 2014 are the beautiful new Assault SLG Disc wheels from Reynolds… If the first review on girodilento is anything to go by it looks like Reynolds have nailed it again! …these new Assault SLG are the best Reynolds wheels I’ve ridden yet, regardless of price point. Click the image to jump through to the full review! The Best Value Race Shoes on the Market! 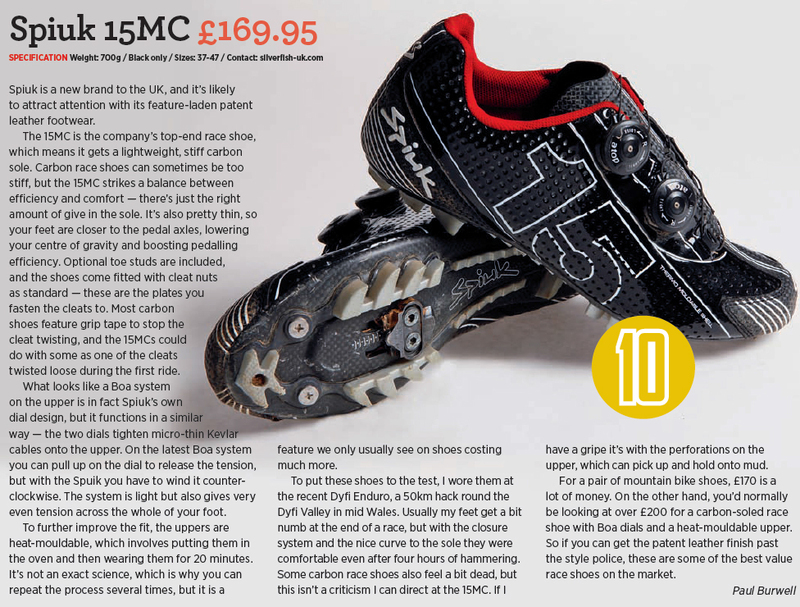 MBR magazine has just awarded the Spiuk ZS15MC MTB shoes a perfect 10/10 score, hailing there them as “the best value race shoes on the market”. Here at CycleLab we’d just like to add to this stunning review that these bad boys are perfect for ‘cross too! Spiuk is a new brand to the UK, and it’s likely to attract attention with its feature-laden patent leather footwear. The 15MC is the company’s top-end race shoe, which means it gets a lightweight, stiff carbon sole. Carbon race shoes can sometimes be too stiff, the 15MC strikes a balance between efficiency and comfort – there’s just the right amount of give in the sole. It’s also pretty thin, so your feet are closer to the pedal axles, lowering your centre of gravity and boosting pedalling efficiency. Optional toe studs are included, and the shoes come fitted with cleat nuts as standard – these are the plates you fasten the cleats to. Most carbon shoes feature grip tape to stop the cleat twisting, and the 15MC’s could do with some as one of the cleats twisted loose during the first ride. What looks like a Boa system on the upper is in fact Spiuk’s own dial design, but it functions in a similar way – the two dials tighten the micro-thin Kevlar cables onto the upper. On the latest Boa system you can pull up on the dial to release the tension, but with Spiuk you have to wind it counter-clockwise. The system is light but also gives very even tension across the whole of your foot. To further improve the fit, the uppers are heat-mouldable, which involves putting them in the oven and then wearing them for 20 minutes. It’s not an exact science, which is why you can repeat the process several times, but it is a feature we only usually see on shoes costing much more. To put these shoes to the test, I wore them at the recent Dyfi Enduro, a 50km hack round the Dyi Valley in mid Wales. Usually my feet get a bit numb at the end of a race, but with the closure system and the nice curve to the sole they were comfortable even after four hours of hammering. Some carbon race shoes also feel a bit dead, but this isn’t a criticism I can direct at the 15MC. If I have a gripe it’s with the perforations on the upper, which can pick up and hold onto mud. For a pair of mountain bike shoes, £170 is a lot of money. On the other hand, you’d normally be looking at over £200 for a carbon-soled race shoe with Boa dials and a heat-mouldable upper. So if you can get the patent leather finish past the style police, these are some of the best value race shoes on the market. OMG! Reynolds, always at the forefront of bike technology are releasing a road specific disc wheelset… Introducing the new Assault Disc, 700c’s of awesomeness! Pop in store for more info or click the image to jump through to Paul Lew’s (Director of Technology and Innovation @ Reynolds) UCI discussion. Spiuk 10 out of 10! With carbon soles and heat moldable uppers for only £170 whats not to like? Great for MTB, perfect for ‘cross these range topping shoes are the real deal… New to the UK Spiuk shoes are great value for money and packed with features commonly found on shoes twice the price. Heat mold fitting, check. Stiff soles, check. Numerous closure options, check. Wallet friendly, check! With moldable shoes from £90 and the range topping ‘pimp slippers’ at only £170 there’s never been a better time to give you’re feet some love. 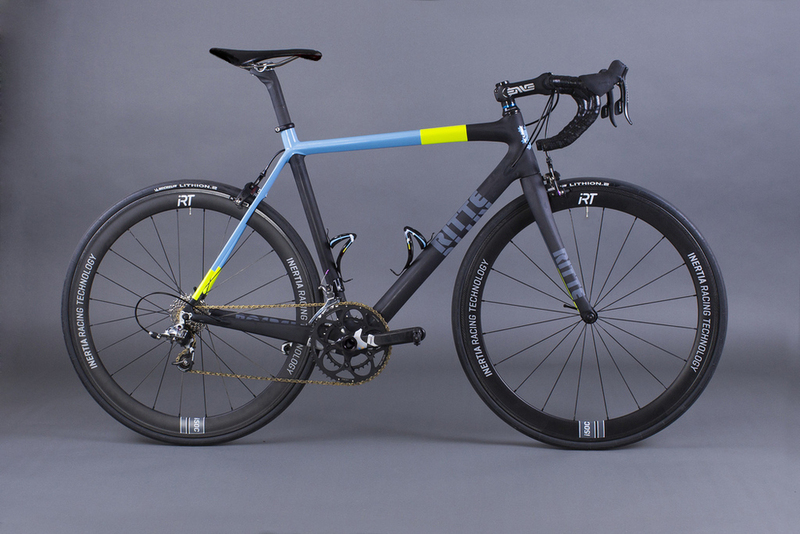 For 2013 the Bosberg has been given an updated frame and now uses a standard seat post for more adjustibility, and thinner seatstays and fork to take the edge off those harsh roads. Not to mention the awesome new paint scheme… we have a few of these limited edition frames left in stock (only a 100 worldwide and less than half of those in the UK).